Download Bulk SMS Software Professional to compose and send group SMS, notifications, job alerts and other personalized SMS. Download Bulk SMS Software for Pocket PC devices to broadcast group SMS, alerts, notifications from pocket PC and PDA devices. 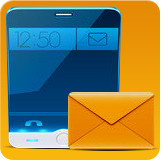 Download bulk SMS Software for Windows Phone to compose and deliver group SMS from computer using Windows based mobile phone. Download Bulk SMS Software for GSM Phone to broadcast multiple numbers of text messages from PC using GSM technology based Mobile Phones.